Professional game and playground designer Keita Takahashi's awkward sandbox title Noby Noby Boy was released exactly 2,468 days ago, or nearly seven years since Feb. 19, 2009, and in all that time, fans of the have continued to push its titular character's friend Noby Noby Girl through the vast expanses of the Solar System. 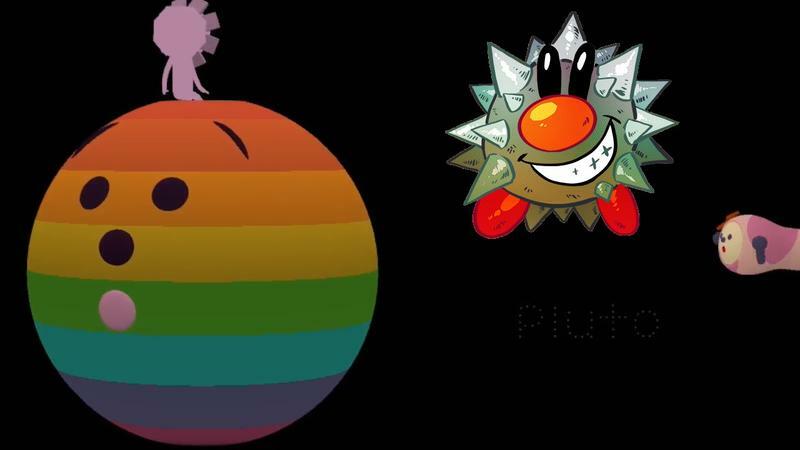 With each bit of food eaten and each point earned by community members, Noby Noby Girl stretches out her body longer and longer, and she has finally reached the latest bit of her journey, the distant planet of Pluto. For reference, Noby Noby Girl reached Neptune on March 6, 2014. Now that she has reached Pluto though, where to next? Well, Girl has pulled a U-turn around the planet and is heading back towards the Sun. If she reaches it within the next decade, she will continue her journey through space to see what distant stars she could reach. For those not familiar with his crazy games, Keita Takahashi is also responsible for Katamari Damacy and his upcoming PlayStation 4 game, Wattam.